New York City, US – The United Nations, aid agencies and NGO partners have said they need $920 million this year to support more than 900,000 Rohingya refugees who fled their homes in Myanmar in the wake of a brutal military crackdown in 2017 and are now living in sprawling camps in Bangladesh. More than half the money is earmarked for critical aid including food, water, sanitation and shelter. The remainder will go towards health services, site management and protection activities, including child protection. 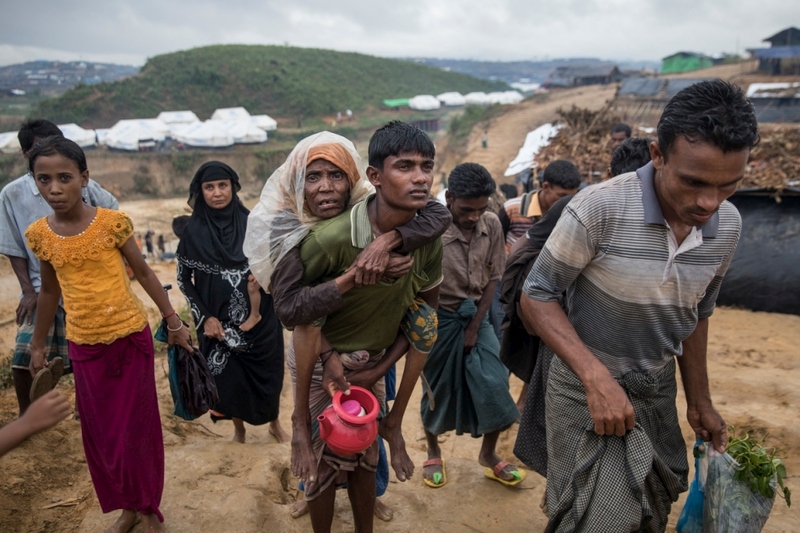 The funds will also be used to support at least 330,000 vulnerable Bangladeshis in host communities, the United Nations High Commissioner for Refugees and International Organization for Migration said in a joint statement on Friday. More than 745,000 Rohingya refugees have fled Myanmar’s Rakhine state since August 2017 when the military cracked down on the mostly Muslim minority. They joined about 200,000 others who had already sought safety around Cox’s Bazar in Bangladesh during earlier outbreaks of violence. Grandi repeated his call for Myanmar to take action to address the root causes of the crisis. “We encourage countries in this region and beyond to show solidarity with Bangladesh and to support Myanmar to start creating conditions for voluntary, safe and dignified return of Rohingya refugees,” he added. Last month, Yanghee Lee, the UN special rapporteur on human rights in Myanmar, said the country’s army chief should be prosecuted for “genocide” for his role in the violence, adding that holding the perpetrators to account was necessary before the Rohingya could return. Last October, Marzuki Darusman, chair of the UN fact-finding mission on Myanmar, said the estimated 250,000 to 400,000 Rohingya who remained in the Buddhist-majority country continued “to suffer the most severe” restrictions and repression, adding that an “ongoing genocide” was taking place. The UN said conditions across the refugee settlements had improved over the past year and that the environmental impact of so many people living together in one place had been reduced by providing liquefied petroleum gas (LPG) as an alternative fuel for cooking and heating. The prevalence of global acute malnutrition had also dropped from 19 percent to 12 percent – below the emergency threshold, while immunisation coverage had increased to 89 percent, and 40 percent of women were now delivering their babies in health clinics compared with 22 percent at the end of 2017, the appeal said. Despite the improvements, the UN said the situation remained “extremely precarious”. The refugees need safer and more robust shelters and better nutrition, the statement said. About 860,000 refugees regularly receive food assistance, but only 240,000 eat anything beyond the minimum package of rice, lentils and oil, it added. “We reiterate our commitment to meeting the dire needs of this population and urge the international community to support these efforts,” said International Organization for Migration Director General Antonio Vitorino. The joint humanitarian appeal includes 132 partners. The UN said it had received $655 million in 2018 – 69 percent of the $950 million it requested.